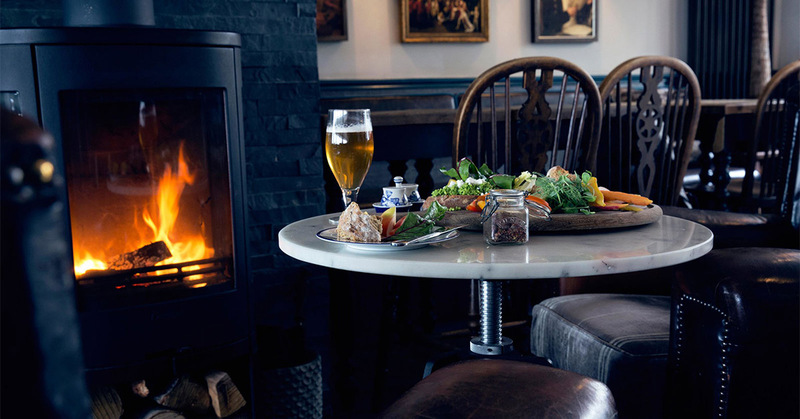 Here are five of our favourite warm and toasty haunts that you can visit by train, safe in the knowledge that you can also have a tipple without needing to drive. 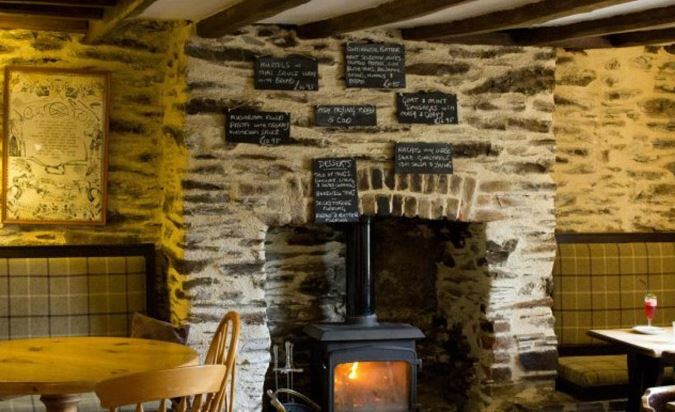 Set in the riverside village of Bere Ferrers, just a short trip from Plymouth on the Tamar Valley Line, this 16th century inn is full of character with open fires, beamed ceilings and flagstone floors. Real ales are from Tamar Valley breweries and the menu showcases local produce too. 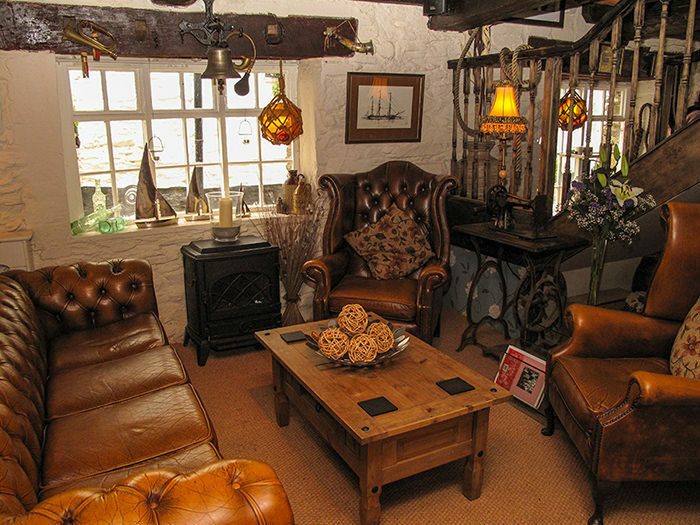 If sitting in a warm and friendly restaurant, looking out at a winter storm is your idea of cosy, then a visit to the Old Sail Loft in Looe is a must. 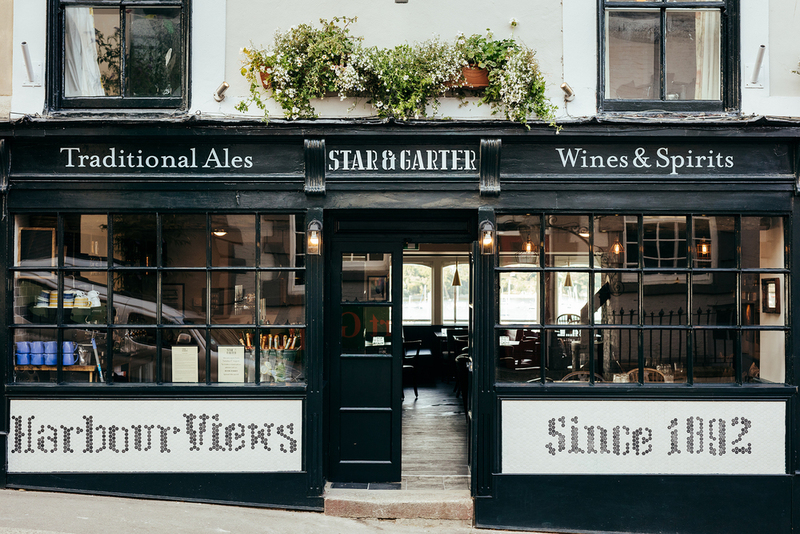 Located in the beautiful fishing port of Looe, which is reached by the scenic Looe Valley Line, the restaurant overlooks the harbour and was once reputed to be the haunt of local smugglers. Fish and seafood feature heavily on the menu, as well as many other tantalising treats. 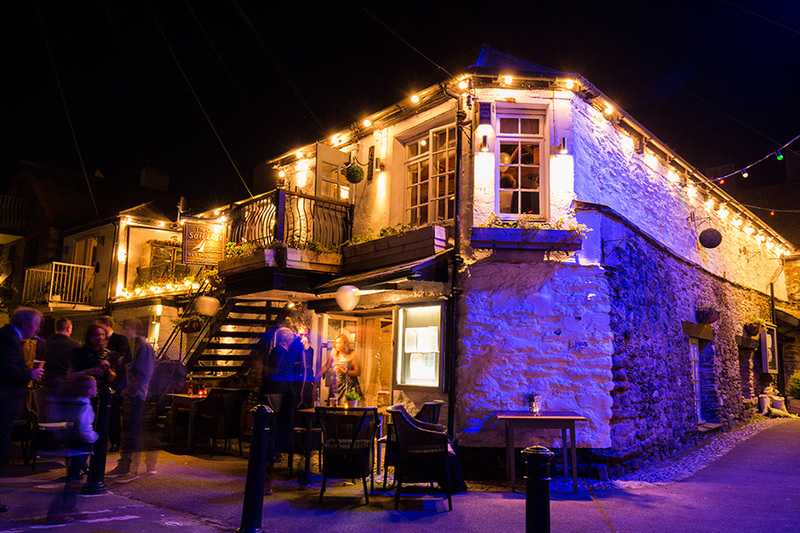 Sat on the water’s edge of Falmouth Harbour, this stylish pub restaurant (pictured at the top of this article) is a great place to while away a few hours in front of a roaring fire whilst admiring the view. 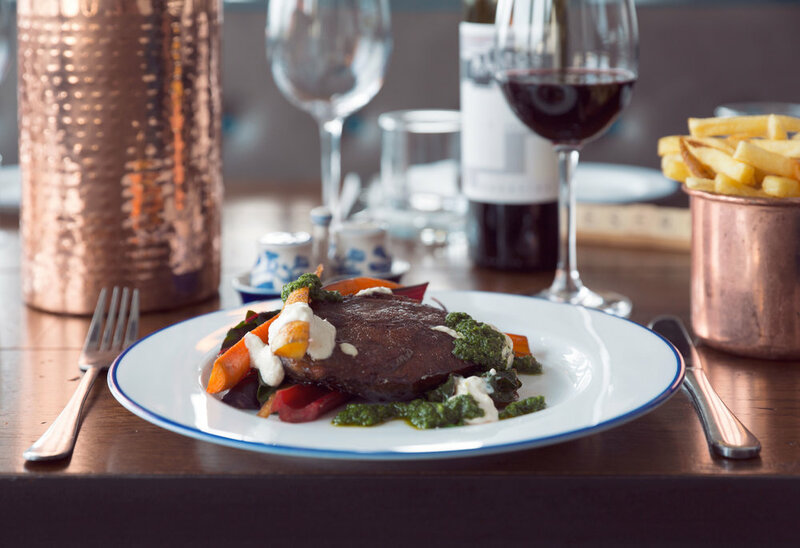 The menu is inspired by the countries of the Mediterranean but firmly focused on local produce. You could always make a weekend of it and stay in one of their three stylish apartments. 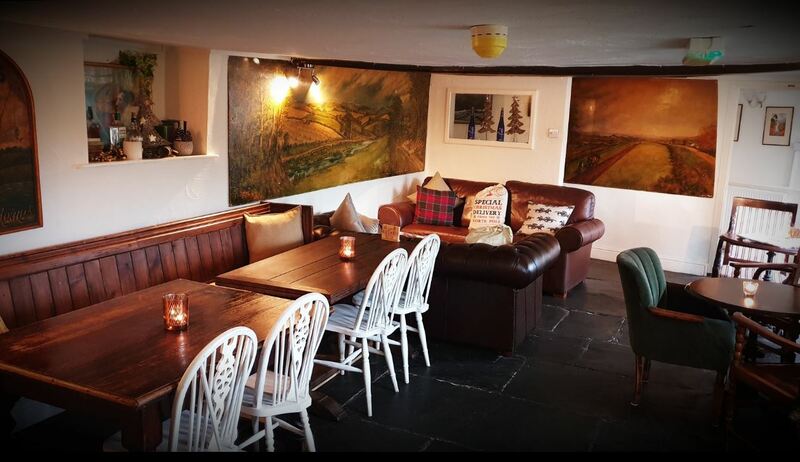 Just a few minutes’ walk from Umberleigh station on the picturesque Tarka Line, this traditional country inn has the cosy interior of flagstone floors, beams and open fires you would expect. 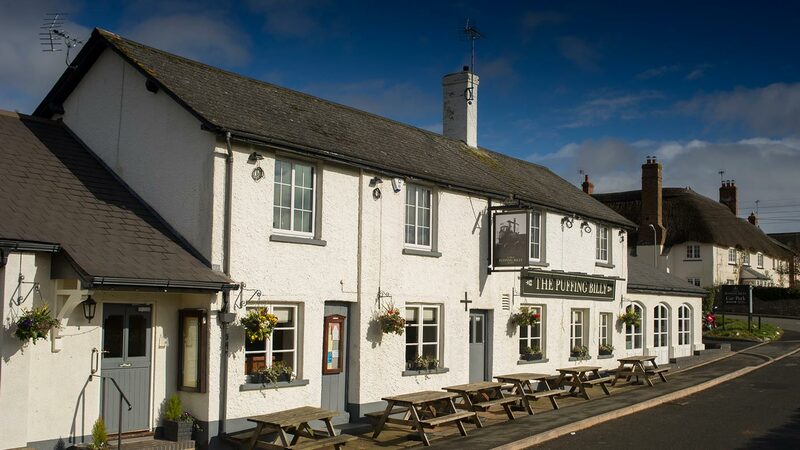 Generous pub classics showcase local produce and you can even stay over in one of their seven newly refurbished rooms. 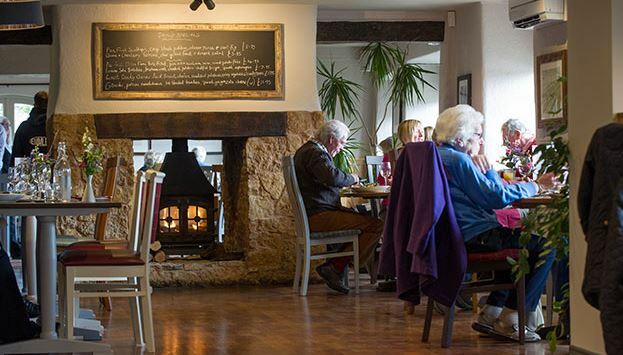 Easily reached from Exeter on the Avocet Line, this attractive village pub, close to Exton station, is great for those of you who like to banish the winter blues with a bracing walk or cycle ride and is located on the Exe Estuary trail. 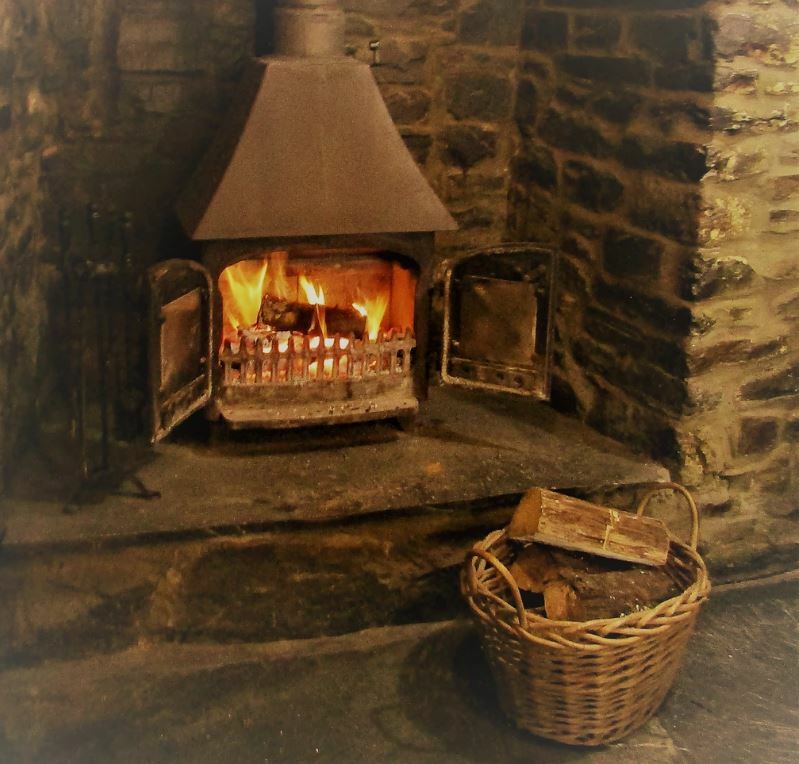 The pub is warm and welcoming with large wood burners and comfy sofas and has an ever changing menu which reflects the seasons. Check out our branch line Foodie Guides and Rail Ale Trails for more ideas of great places to visit by train.